On Thursday, May 21 at Parkway Central Library, the Free Library will kick off the first of six job fairs to be held throughout the year at neighborhood libraries across the city. Made possible by the generous support of the Citizens Bank Foundation, these job fairs will seek to connect entry and mid-level workers with area employers and workforce development organizations. 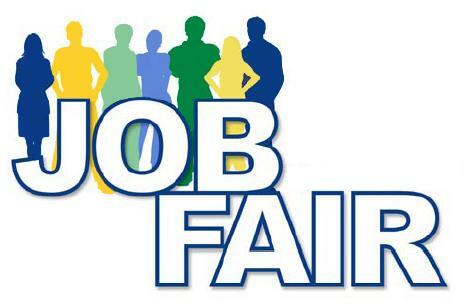 The job fairs also represent the Free Library’s continuing effort to provide resources, services, and opportunities for people looking for their next job, better job, or new job. In each of our 54 neighborhood library locations and our community Hot Spots, neighborhood libraries provide customers with career and job seeking resources, access to computers and Wi-Fi, and a knowledgeable staff to guide those looking for work. In addition, our Parkway Central location is home to The Workplace, the Free Library’s job and career information center. Founded in 1987, it provides library users with current information on changing careers, job search techniques, and emerging employment fields and over the years has provided thousands of career changers and job seekers with resources to help them achieve their goals.